The increase of wearable devices and its adoption by consumers of all ages. The explosion of new and diverse health delivery services such as telemedicine and urgent care clinics. The rising mobility of patients using affordable transportation to seek care beyond geographic constraints. The shift to value based care model. The tumultuous political scene that could create millions of uninsured patients. 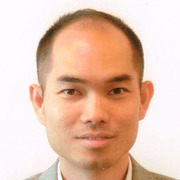 Interoperability remains a Utopia that is a distant dream. The future of healthcare is a patient-centric one. The Patient is the glue that ties all the systems together. The patient is ultimately the CEO of their health to improve outcomes. 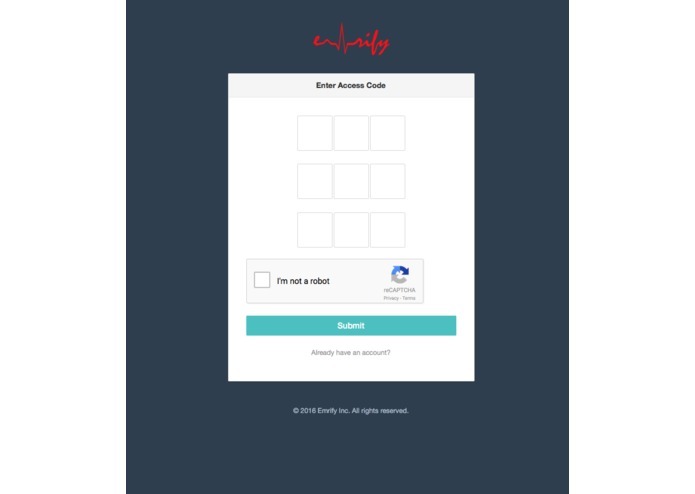 Emrify Health Passport is a patient engagement platform that helps healthcare providers create care continuity to improve care as their patients navigate health systems. 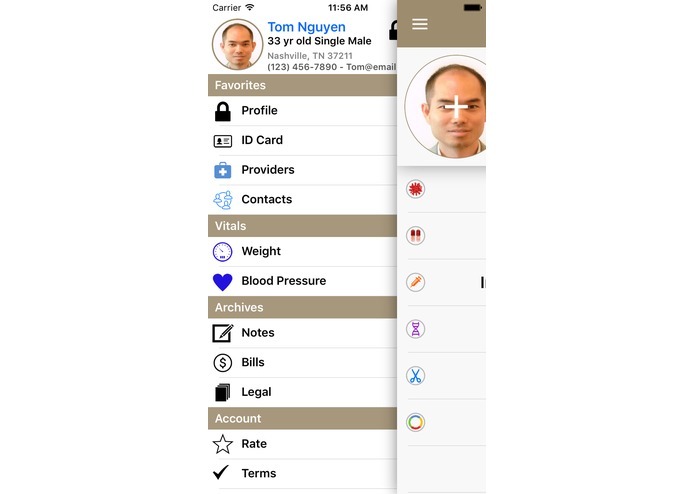 One on hand, the lightweight mobile app offers a simple way to add / update basic health history and containers to empower patients to track their own health. 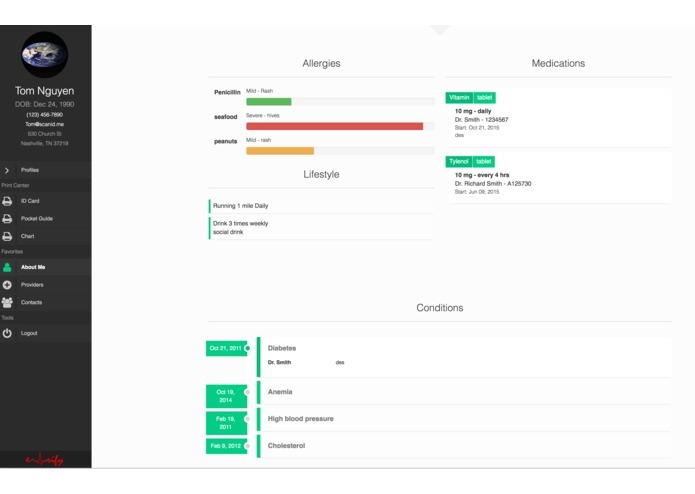 On the other hand, the desktop health portal empowers the patient to share vital health information with the right person at the most crucial times. 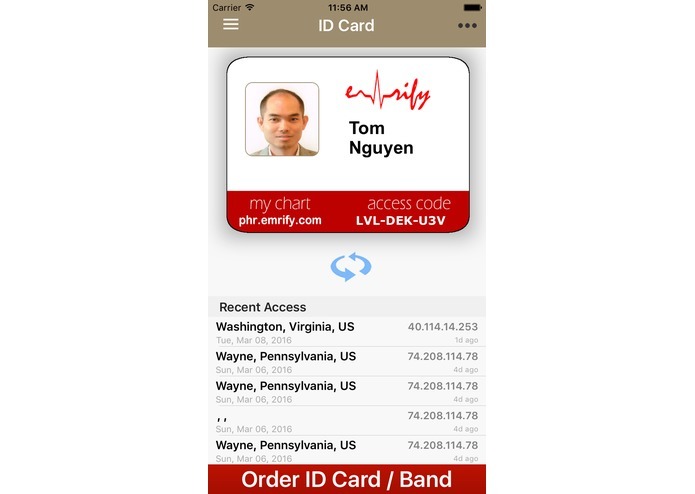 What is truly unique is the Emrify ID Card. 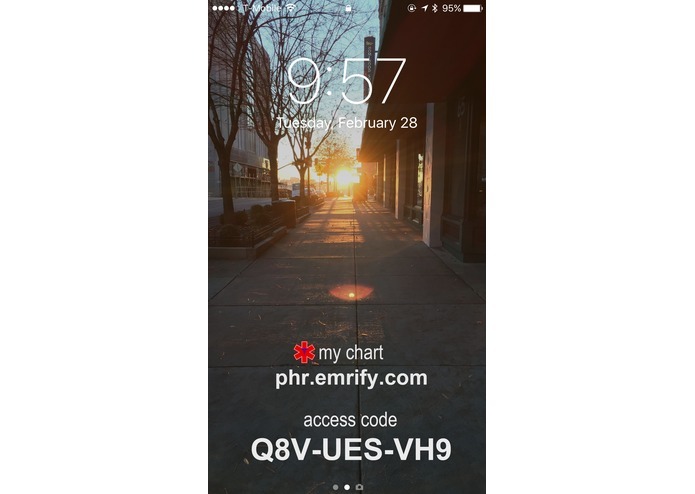 The 9 digits access code is a flexible mechanism to share while remaining secure by refreshing the code anytime. Alternatively, the QR code on the back can be scanned for access. 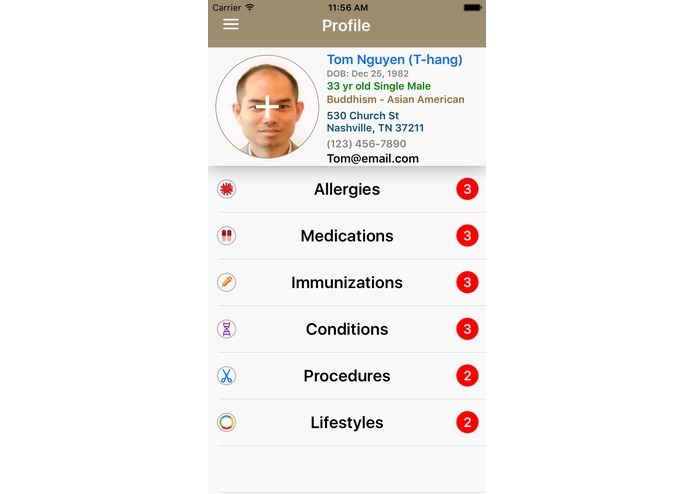 For doctors and providers who may not use the health portal, the patient can print out the Pocket Guide and Chart for their next visit. 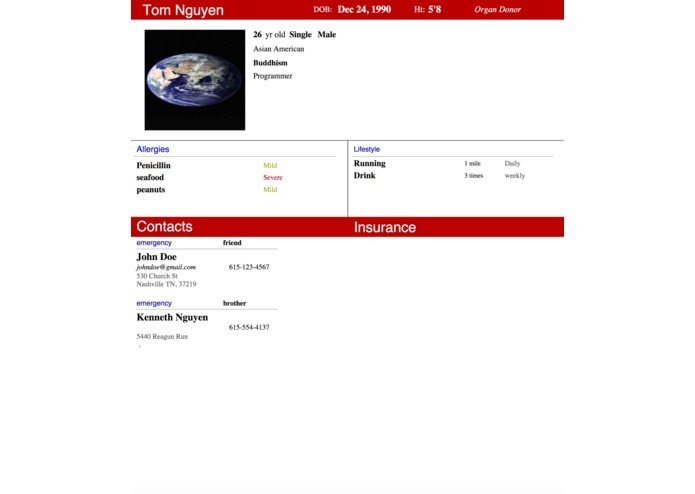 The PDF are generated on the fly to reflect the most updated health profile from the app. 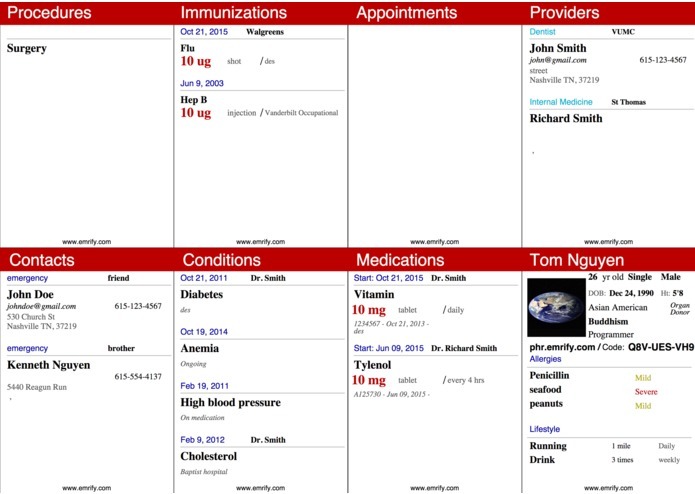 We leave the decisions to the patients to share their data with whoever they want. Health Passport just won 1st at ONC Interoperability Challenge with Blockchain.